Royal families capture the imagination of people all around the world. It’s fun to imagine what it might be like to live with such massive amounts of wealth and the amazing historical architecture that comes along with it. However, even some royals have decided to opt for more humble digs. Check out this list of amazing royal palaces and other places royals have called home. We’ll also get a peek at Harry and Meghan’s new summer home. 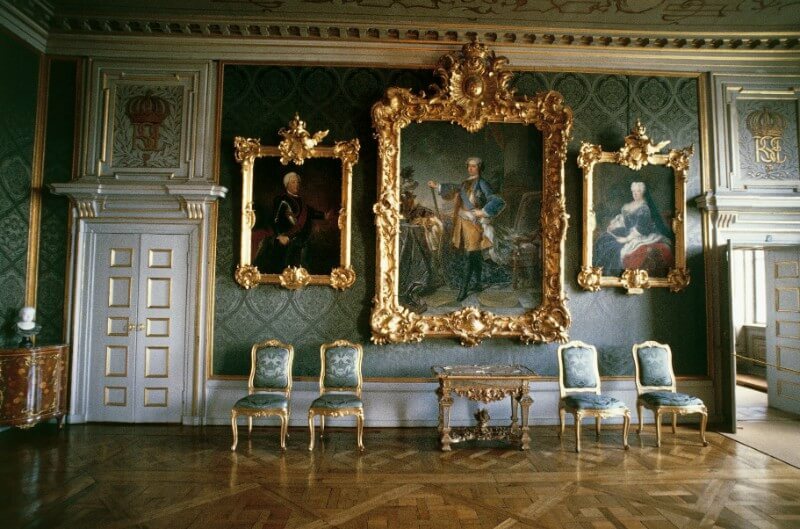 Drottningholm Palace is the private home of the Swedish royal family. It was originally built in the 1500s. This palace is known for its areas that have been kept almost the same as they were years ago. Some parts of the palace are open to the public, including the garden and the palace theater. The palace also features a Chinese Pavilion which was built in the traditional Chinese style in the 1700s. The palace has been named as a UNESCO World Heritage site, namely for its amazing architecture and baroque gardens. 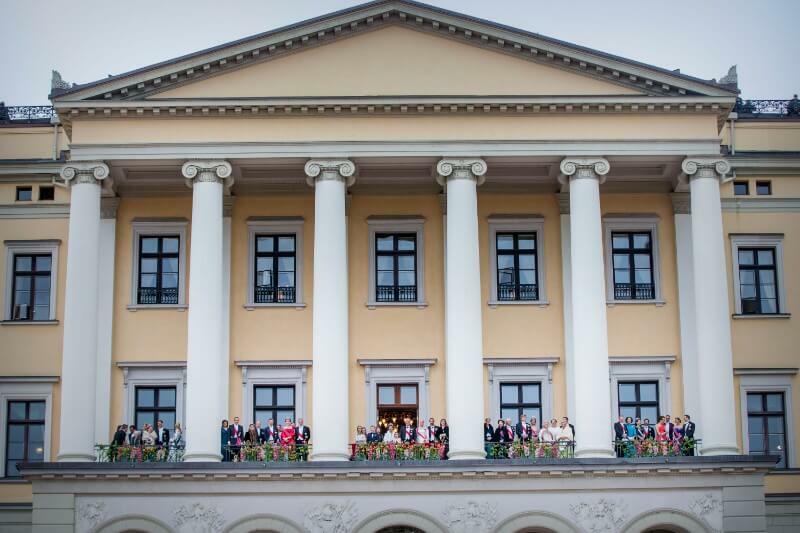 While the palace is considered the official residence of the Swedish royal family, some of them only use it as a summer home. Coming up: see the palace that Grace Kelly called home in Monaco. Out of all the royal families and palaces around the world, perhaps the most discussed is Buckingham Palace, home to the British royal family. Buckingham Place also has a place in the majority of the British royals’ traditions, including where they announce the births of any royals (with the most recent being Prince Louis). Often, heads of state are hosted at Buckingham. And other honors are given here, including to commoners. For instance, in this photograph Queen Elizabeth II is presenting actress Angelina Jolie with the Insignia of an Honorary Dame Grand Cross of the Most Distinguished Order of St Michael and St George. Jolie was made an Honorary Dame due to her humanitarian work. The royal family of Monaco is an interesting one because of the inclusion of Princess Grace. Grace Kelly was a famed American actress who met and married Prince Rainier in a tale only rivaled recently by Meghan Markle and Prince Harry. Although both King Rainier and Princess Grace have already passed away, their son Prince Albert has since taken the throne. The private residence of the Princely family of Monaco is the Prince’s Palace. Grace Kelly once called the abode home. 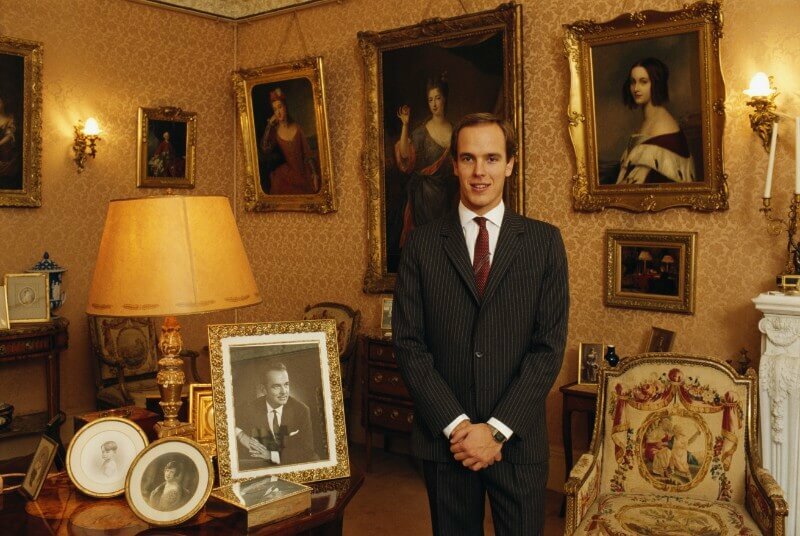 This photo shows Prince Albert in his younger years standing next to a photo of his father. Stay tuned to see Meghan and Harry’s new summer digs! This beautiful building is the Royal Palace of Norway. The Norwegian royal family owns many homes around the country. However, this home is considered their base and is the primary residence. The King and Queen call the massive property home. 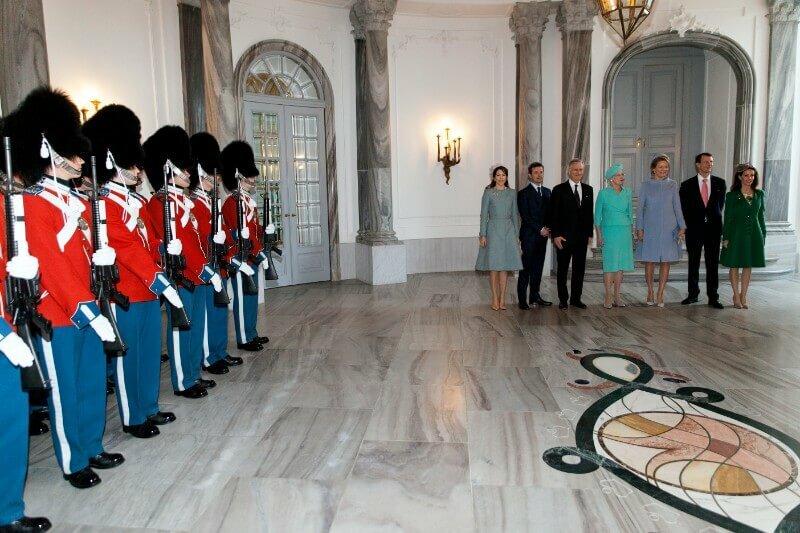 The palace also serves as a place to host guests and heads of state and to carry out important royal work. There is a famed park surrounding the palace on all sides which is one of the most historic parks in Norway. This photo was taken in 2017 when King Harald and Queen Sonja celebrated their 80th birthdays. As we’ll see a bit later, some royals opt for modest instead of grandiose. The Moroccan royal family enjoys a beautiful palace in the center of the city of Rabat. 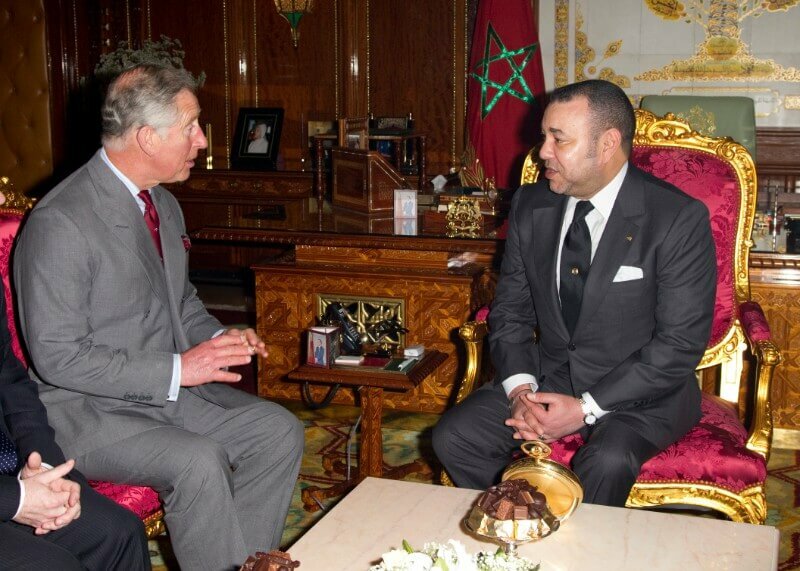 In this photo, King Mohammed VI is hosting Prince Charles of the British royal family in 2011. This photo also gives a look into the interior of the palace which is not often seen. Another astounding feature of the royal palace is that the King has a private mosque located right across from the palace. The property is also considered the royal family’s primary residence. The palace was built in 1864 and is called Dâr-al-Makhzen. Next up: Harry and Meghan’s summer home. Prince Harry and Duchess Meghan Markle are newlyweds and enjoying their new life together. While most newlyweds are unwrapping their wedding gifts (usually consisting of blenders or silverware), these newlyweds gifted themselves with something a bit more expensive. The two were said to have signed a lease on a home in the Cotswolds. 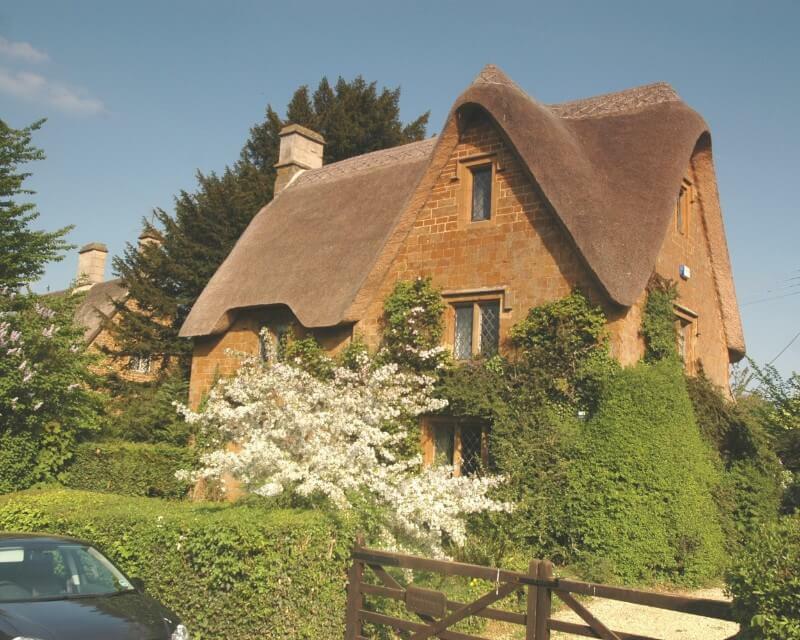 The houses in the Great Tew Estate could be described as purely pastoral. The area is considered rural and many of the houses are thatch-roofed cottages. Other well-to-do members of the upper-echelon of British society have summer homes in the area like David and Victoria Beckham. What a romantic place to start a happy marriage! Berg Castle has been the primary residence of Luxembourg’s royal family for several centuries. During the 1940s, the house was seized by Nazi soldiers in the war. However, the royal family later regained control and also restored the castle by the 1960s. 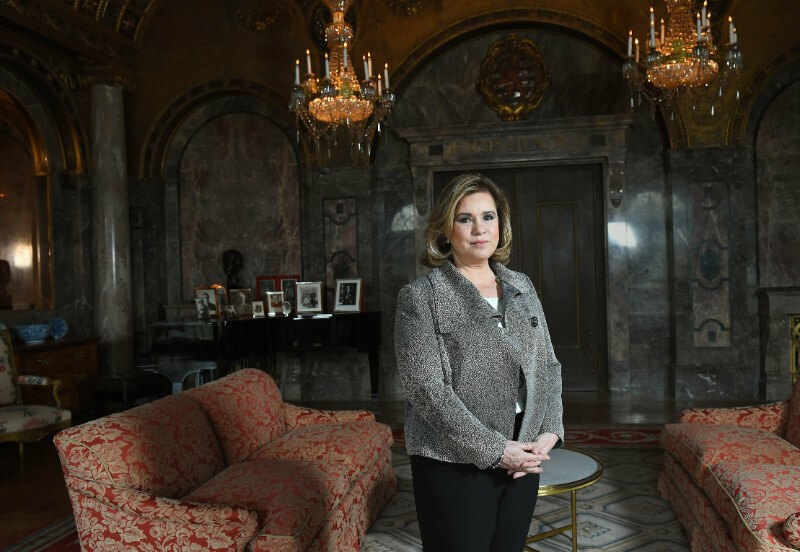 In this photo, the Grand Duchess of Luxembourg Maria Teresa poses for a photo in the Grand Ducal residence. As you can see, the photo gives a glimpse of the massive castle and the marble walls and columns. This photo was taken as the Duchess was giving an interview in which she discussed the need for the monarchy to be more modern and “transparent”. This grand mansion is Villa Eikenhorst in the Netherlands. It is the primary residence of King Willem-Alexander and Queen Maxima. This palace is actually more like a mansion and is located in Wassenaar in The Hague. While this the King and Queen’s actual home, they also host visitors and heads of state from other countries. The family uses the upper floors as their residence and the ground floor as an area to host guests. In this photo, Queen Maxima and King Willem-Alexander pose with the Indian Prime Minister Narendra Modi. Other royals to have visited the mansion include Kate Middleton, the Duchess of Cambridge. Soon, we’ll see a palace that’s over a million square feet. This is the Mysore Palace in India. Despite India now being a republic without a true royal family ruling over them, the former royal family still lives in the palace. The Wadiyar family was the ruling dynasty of India from 1399 to 1950. The palace’s architecture is absolutely astounding both inside and out. It was originally built in the late 1800s. Currently, it is also adorned with thousands of lights on the outside which are lit each night. 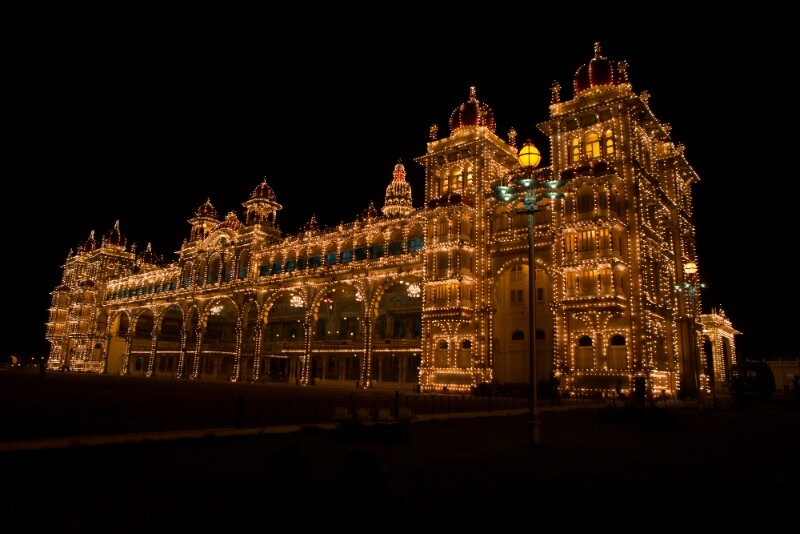 The sight of the palace lights is truly breathtaking and has made it one of the most sought-out tourist spots in India. The royal palace of Madrid almost looks like Spain’s version of the United States’ White House. It is considered the official residence of Spain’s royal family. It is a massive palace at over one million square feet of floor space and was originally constructed in the 1700s. The palace also boasts over 3,000 rooms and is often used to host guests from other countries. There are also several rooms that are open to the public on a daily basis. Although the palace is considered the official residence, King Felipe and his family do not live there. Check out the home that King Felipe and his family DO live in, next. Instead of the royal palace, King Felipe, his wife Queen Letizia, and their daughters Princess Leonor and Sofia call the more modest Palacio Zarzuela home. This photo shows the royal family enjoying a lunch on King Felipe’s birthday. Despite still looking like a grand residence, it is far more down-to-earth than the royal palace. The Palacio is located on the outskirts of Madrid and has a theater from which it takes its name. The theater is said to have been the origination point of Zarzuela, the opera style. The Spanish royal family is known for their more modern take on what it means to be royal. The Royal Palace of Laeken is truly an astounding example of architecture. It is the primary residence of King Philippe of Belgium and his family. Some of the most amazing features of the property are the royal greenhouses. During the spring, they are open to the public and people from around the world often flock to the site to see them. 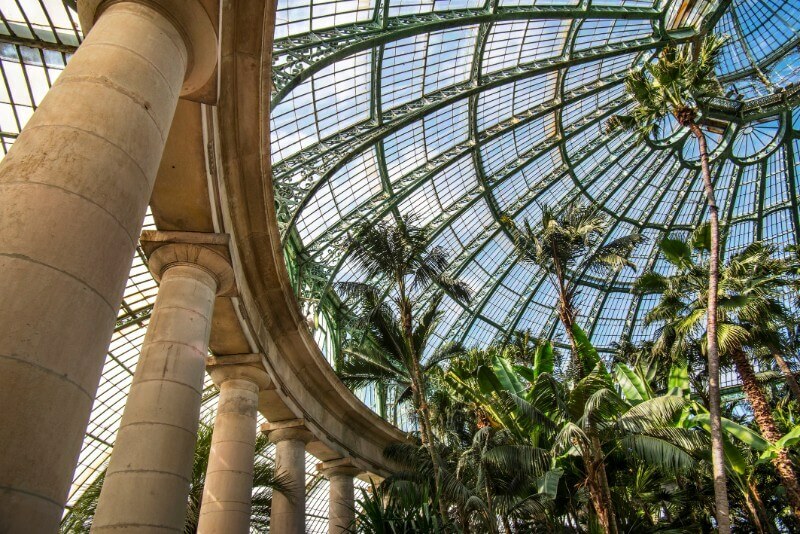 The glass ceilings of the greenhouse are done in an Art Nouveau style and were designed by Alphonse Balat, a Belgian architect. In this photo you can see the amazing architecture and billowing palm trees that nearly reach the glass ceiling. The Danish monarchy calls the Amalienborg Palace their home. The palace is located in Copenhagen, Denmark and was built in the mid-1700s. The royal compound is actually made up of four different buildings which are all identical in design. Two of the buildings are the main homes of the royal family. The other two are used to host guests. This photo was taken inside the palace reception hall which boasts stunning marble floors and columns. You can also see the Royal Guards, who guard the palace day and night. They look quite similar to the British guards you see in front of Buckingham Palace. Al Alam Palace is located in Muscat, Oman. While there are multiple royal residences in Oman, Al Alam is considered to be the palace of the Sultan, essentially ‘the King’ of Oman. While it is considered the official residence, the Sultan Qaboos bin Said Al Said regularly stays at his other residences. Al Alam is typically used as an official meeting place, a place to host other leaders, and a place to carry out ceremonies. 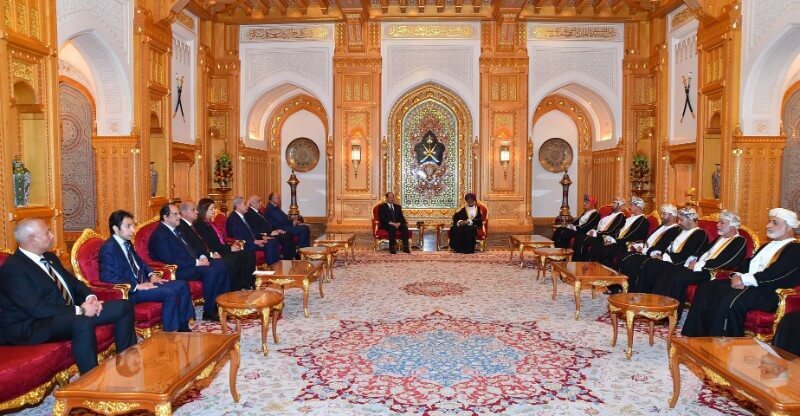 In this photo, the Sultan Qaboos bin Said Al Said is meeting with the Egyptian President Abdel Fattah al-Sisi. Coming up: see the home that Meghan Markle gave up in order to marry into the British royal family. The Royal Palace of Amsterdam is a massive building that was originally built as the city hall and later became the home of the monarchy. Currently, it is the residence of King Willem-Alexander of the Netherlands and his family. The family also owns several other properties, although this one is used as one in which they conduct official business. The Royal Palace is used for special events like hosting state visits and other ceremonial undertakings. It is also sometimes open to tourists. 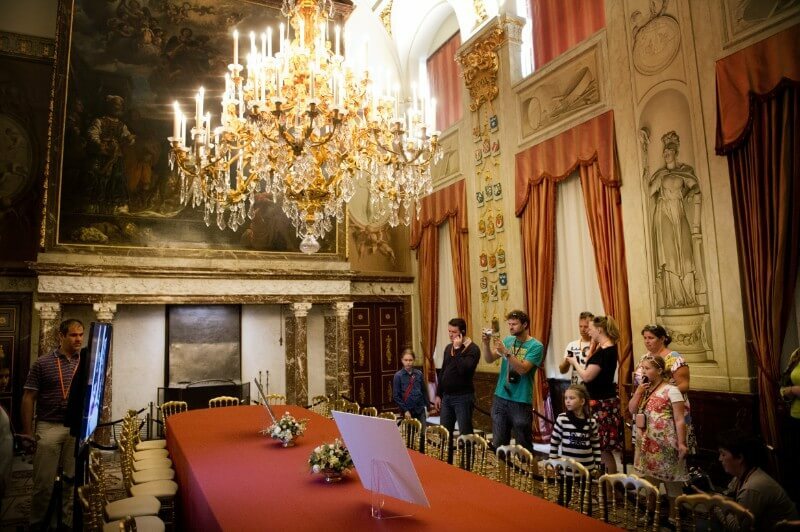 In this photo, tourists are inspecting the room of the council, or Vroedschapskamer. 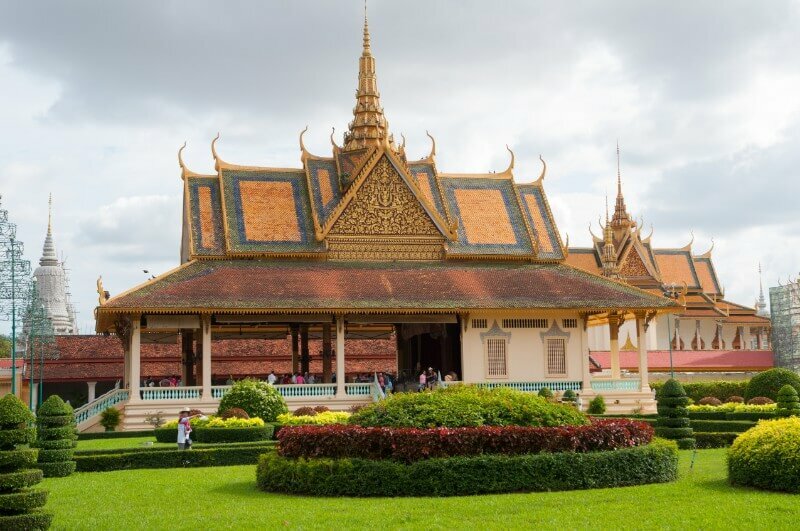 The Royal Palace of the Cambodian royal family is located in Phnom Penh, Cambodia. The palace is considered to be the official residence of the family and is closed to tourists. The royal family has called the palace home since the 1860s. The area surrounding the palace is decorated with various religious shrines and is also home to various gardens. These areas are readily available for tourists to wander through and it is a popular tourist spot. The palace is made up of various buildings with different purposes for each one, including a throne hall and several pavilions. Meghan Markle recently left behind her Californian roots to become a member of the British royal family through her marriage to Prince Harry. Before they began their relationship, Meghan was a lead on the USA show Suits. The show was shot in Canada so for all the years she was filming, Meghan rented a home in Toronto. Now the owners of the house have put the home up for sale and they likely are going to get an amazing deal on the quaint abode. These digs are definitely a bit different than what Meghan is surrounded by now. 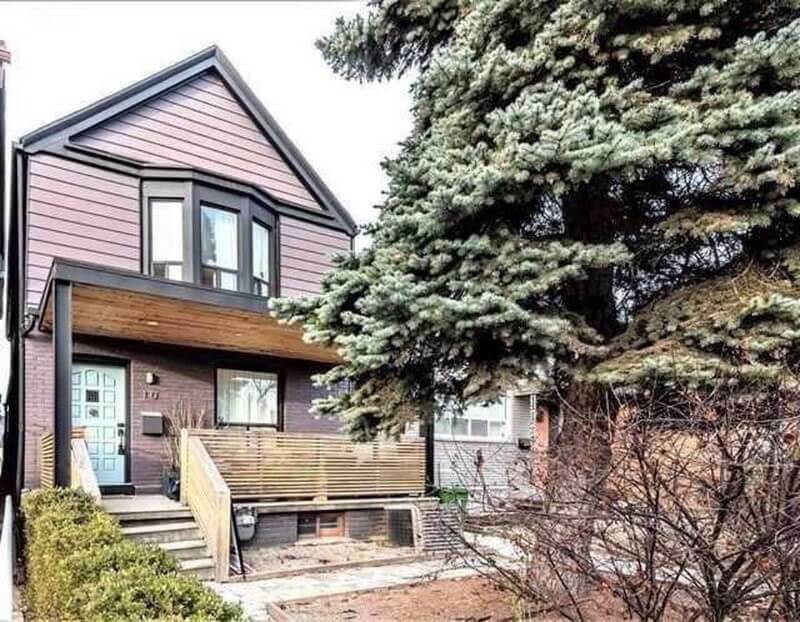 The home is a three-bedroom, two bathroom in an upper middle class area and has been listed for $1.3 million. Real estate broker Daniel Freeman commented on the royal connection, saying, “It’s a nice thought to think, wow, Prince Harry used this toilet.” Ahem. Mandalay Palace was the last residence of the former monarchy of Myanmar. The country has since become a unitary parliamentary republic. It was originally constructed during the 1800s and served as the primary residence of the monarchy for many years. Nowadays, it mostly serves as a tourist destination. 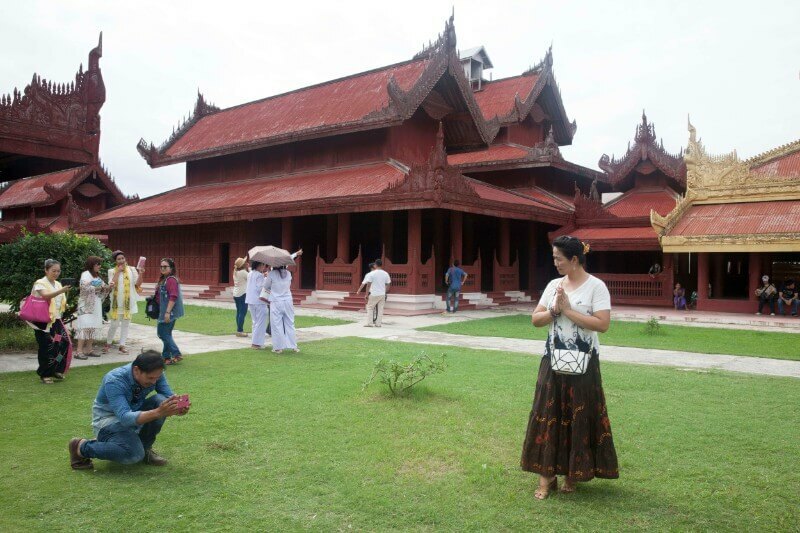 As seen in the photo, a girl is posing in front of Mandalay Palace. Some amazing features of the palace include the many ornate thrones and halls that still stand today. The palace also serves as a symbol of independence to the Myanmar people as it stood throughout the British colonization. The monarchy of Japan is the oldest in the world. 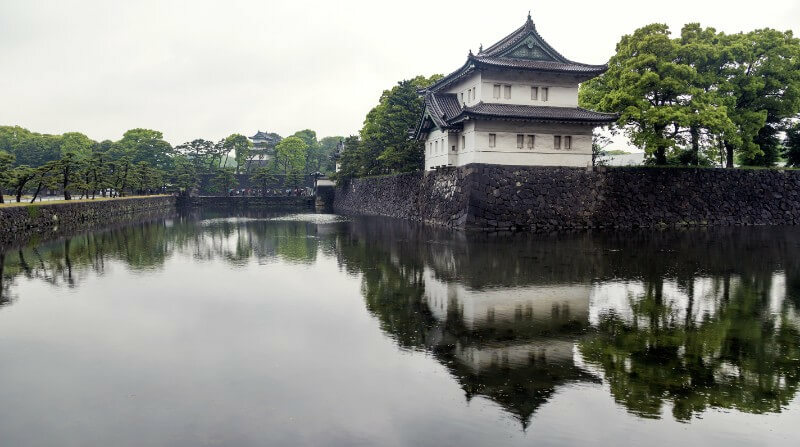 The Tokyo Imperial Palace is the primary residence of the Emperor of Japan and his family. It is built on the site of the old Edo Castle. After the destruction faced by Japan during WWII, the new residences were constructed in the 1960s. One of the most interesting features of the Palace is that it’s surrounded by moats. Although the family is famously guarded, they have begun to reach out to commoners more and more in recent times. Most recently, the Emperor of Japan publicly visited with people affected by the March 2011 tsunami that had triggered a nuclear leak.